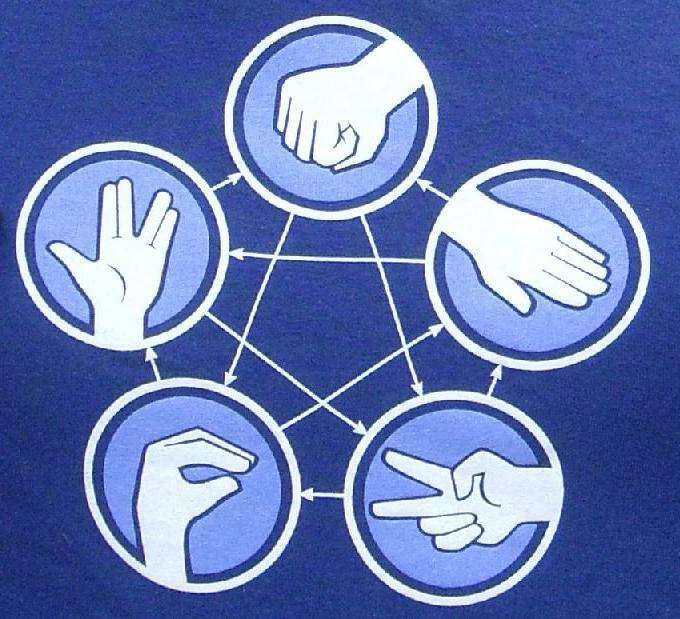 Rock Paper Scissors Lizard Spock. I was going to delete this thread, but I decided not to because if you ever want to learn the rules of said game, all you have to do is look at this picture. I think there's some usefulness in that. Re: Rock Paper Scissors Lizard Spock. one would think spock and scissors would make natural allies.